@ Urban Innovation Centre, Clerkenwell, London. There is no greater challenge to our habitats than climate change. This man-made phenomena is creating social, biological, geo-political and economic challenges, which at the moment our cities are not equipped to handle or solve. In 2018, London experienced an unusually long heatwave. This is a problem as cities such as London have been built and are managed within certain established climate frameworks. Sustained changes to their ecology have consequential impacts to people as they try to adapt to these changes. There is now strong evidence that suggests when temperature rises in cities the concentration of certain air pollutants causes the air quality to diminish. For children, pregnant people, and the elderly these changes can produce long lasting health complications in addition to heightened stress levels and daily discomfort. These changes also put a strain on existing buildings as people demand more heating or cooling, which can have detrimental effects to health, environment, and operational costs for public and private organisations. London is not alone. Chicago grinded to a halt this winter due to arctic-like conditions. In addition to buildings, impacts to infrastructure, such as transport networks, put already vulnerable people like the poor, elderly, and the neurodiverse - who may already be unable to access necessary resources - in life-threatening conditions. Even cities like Miami, which is seeing a renaissance, may have to count their success short as extreme flooding could make it unliveable in the future. A city that cannot respond to climate changes from a human lens is destined to exacerbate human problems in an era where we are collectively trying to create solutions. Climate change has typically been expressed from the perspectives of environmental and physical elements of cities but not enough has discussed in terms of human issues such as inequality, migration, and health. The field of neuroscience now offers a lens to observe this and relate issues such as air pollution spikes and increases in the urban heat island effect and the decline of cognitive performance for both adults and children. This conference will approach this challenge from two perspectives. The first is the human perspective, defining who will become more vulnerable as we face these urban changes. Secondly, we will look at what new technologies and methods are available to start making cities that enable human life for now in and in the future. All proceeds raised from ticket sales will be given to the charity centrepoint, who are the forefront of some the issues we will be discussing. How will climate change affect human life in cities? How will climate change put more strain on those who are vulnerable? What are the potential changes to how people use cities? Who will be redefined as vulnerable in cities? 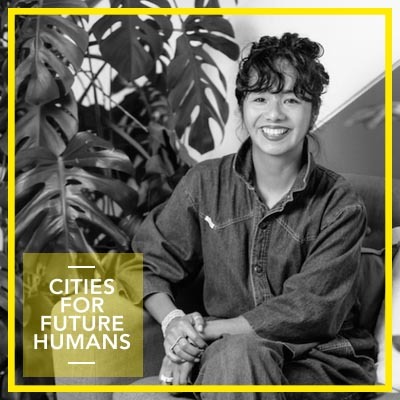 Pooja is an architect and planner who works in the GLA Regeneration Team and oversees strategy, policy and projects in North West London; and citywide initiatives around culture, small sites and small builders, local authority capacity, and social inclusion. 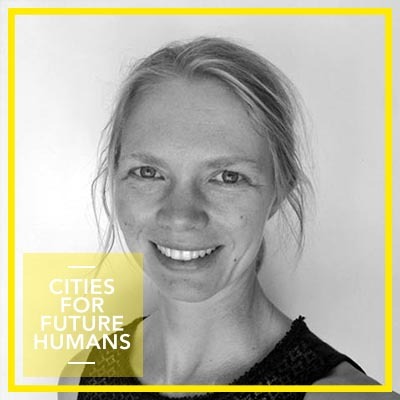 She is also the co-founder of Public Practice, a new social enterprise placing a new generation of architects and planners within government to shape places for the public good. She has lived and worked in Mumbai, London and New York. Danny is a neuroscientist and Phd candidate at University College London. He is the founder of Blind, Mind, and Urban Space, which is a project that aims to investigate how blind people navigate their environment without the use of sight. Danny now aims to, in his own words, use his unique position as a blind neuroscientist to research how blind individuals process spatial information without vision, which forms of information are optimal and which are naturally used to navigate the environment. Jo is currently working on a multidisciplinary project, Complex Urban Systems for Sustainability and Health (CUSSH) at UCL, launched in 2018. The project uses participatory system dynamics to model the interrelationships between population health and the environment in partner cities including London, Rennes, Nairobi, Kisumu, Beijing and Ningbo. Jo’s role involves integrating this approach with insights, theories and frameworks about behaviour change. Guillaume is a researcher in the field of social cognition. He is currently a research fellow from the British Academy and at the University College London, conducting experimental research on the relationship between relative deprivation and collective violence. In the past, he has conducted observational and experimental research with humans as well as with wild, captive and semi-captive animals. Guillaume has held research experience and positions in France, the United Kingdom, Switzerland, Zambia and Uganda. Guillaume also engages in applied research with the SCITY lab (https://www.scity-lab.com/) and ACTE lab. How to make cities and buildings resilient to climate change? How will housing need to change to better sustain economically challenged communities? What can cities do to mitigate against extreme weather so the most vulnerable can still access resources? 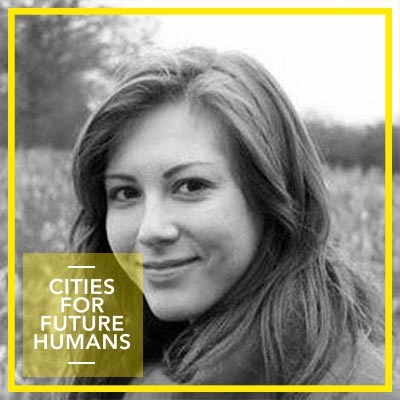 Dr Gesche Huebner is a Senior Research Associate at the UCL Energy Institute and a Lecturer at UCL Institute for Environmental Design and Engineering. Her research focuses on determinants of energy consumption and temperatures in homes and the link between temperatures and health. Gesche obtained a PhD in Psychology (visual cognitive neuroscience) from the University of Giessen, Germany, in 2010. Dr Daniel Slade is Research Officer at the RTPI. Daniel holds a Phd from University of Liverpool in political economy, central government, and planning reform. He currently works at the Royal Town Planning Institute on climate change, resilience, and climate justice having previously worked at the Institute for Government on infrastructure. Gaia works as Innovations & Partnerships at HB Reavis. 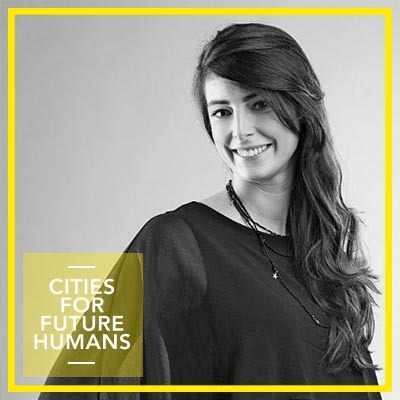 Her work concentrates on smart cities, clean technology, and sustainability. Her employer, HB Reavis, is a fully integrated, pan-European property developer. They design and operate in UK, Slovakia, Germany, Poland, Czech Republic, and Hungary. We are committed to creating exceptional spaces that will enhance well-being, productivity, health and happiness. In her role she identifies and evaluates opportunities for innovation in strategic focal areas of the business. Josh Artus is a director of Centric Lab. Josh leads business development with clients keen to understand the impact automation and climate change will have on people, buildings and places. Since 2008 Josh has worked at the intersection of technology, real estate and people. What is the role of science and technology? What is the opportunity for assistive technologies to help enable those who are vulnerable become more independent and able to interact with their cities? What is the role of apps in cataloguing human life in cities? Joanne is a postdoctoral research fellow for MRC Centre for Social Genetic & Developmental Psychiatry at King’s College London. Her work has primarily centered on how the built environment affects children and adolescents. Her recent work with Dr. Helen Fisher has looked into the relationship between air pollution and psychotic symptoms in children. Tom is the London based Senior Manager of the Strategy Delivery Unit at 100 Resilient Cities. 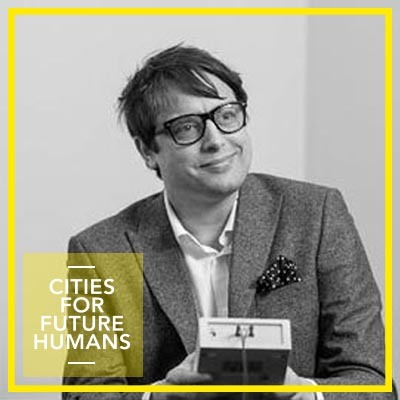 He has a background in architecture and urban design, obtaining his Master of Philosophy from the University of Cambridge in the subject and specialising in the growing connection between pandemics, global cities and their urban environment. He also a co-founder Urban Emergencies: Emergent Urbanism (UE:EU) is an independent research and consulting group exploring international and interdisciplinary perspectives on the implications of emergent risks on cities and their inhabitants. Sarah joined the Department of Experimental Psychology at University College London through the LiDO PhD program last year. Her research here focuses on dynamic functional connectivity in the human brain. Sarah obtained her BSc Hons in 2017 from the University of Edinburgh in Molecular Biology. At Centric Lab she is employing her skills as a computational neuroscientist to help built their software, which is used to both analyse and provide solutions to human challenges in cities. Marie has a background in psychology and cognitive neuroscience and currently is a PhD student on the Ecological Brain Doctoral Training Programme at UCL. The Ecological Brain DTP brings together supervisors from several disciplines including psychology, neuroscience, architecture, computer science, engineering, education and geography sharing the view that to explain the richness of human experiences it is critical to understand how humans operate in the real-world. Alex is the co-founder & head of making at Comuzi, a design and innovation studio, working at the intersection of emerging technology and humans. Some of Comuzi’s clients include Nike, ASOS, Uber, BBC, University of Arts London, Ustwo, Waltham Forest Council and the NHS. Alex has been recognised internationally in recent times for his work investigating the ethical implications of AI, algorithmic bias in regards to race and gender and exploring the future technological interfaces that we as humans will interact with. The new Connected Places Catapult accelerates smarter living and travelling in and between the places of tomorrow. They focus on growing businesses with innovations in mobility services and the built environment that enable new levels of physical, digital and social connectedness. The ECOLOGICAL BRAIN DTP brings together supervisors from several disciplines from UCL including psychology, neuroscience, architecture, computer science, engineering, education and geography sharing the view that to explain the richness of human experiences it is critical to understand how humans operate in the real-world. A Paris based collective of researchers in cognitive science and urban planners convinced that the marriage of these two disciplines can make sparks. SCity will be assisting with research for the project, as well as translation to French and dissemination in France. Araceli is an indigenous American, Cognitive Neuroscientist and co-Founder of Centric Lab. Araceli steers the Lab's research and development, relationship with University College London, as well as managing key projects. She holds an MSc in Cognitive Neuroscience from King's College London, where she focused on the attention system. She has a keen interest in using neuroscience to understand more about the relationship between people and the physical environment. Her goal is to make habitats that are healthy, sustainable, and accessible.